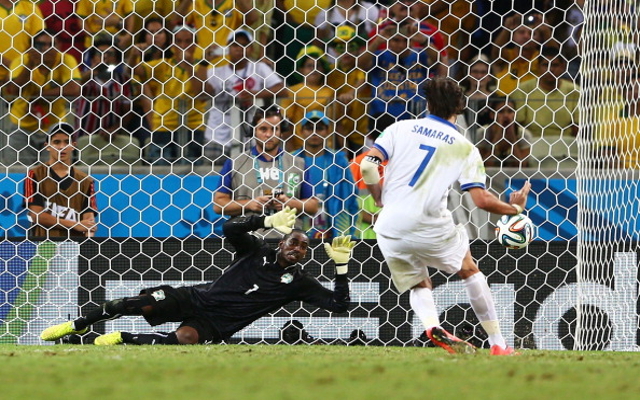 A contentious Giorgos Samaras saw Greece past Ivory Coast and into the last 16. (Video) Funny: Gervinho Summons The CAF Logo! (Tweet) Check Out Just How Much Manchester City Have Missed Yaya Toure!